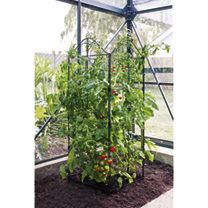 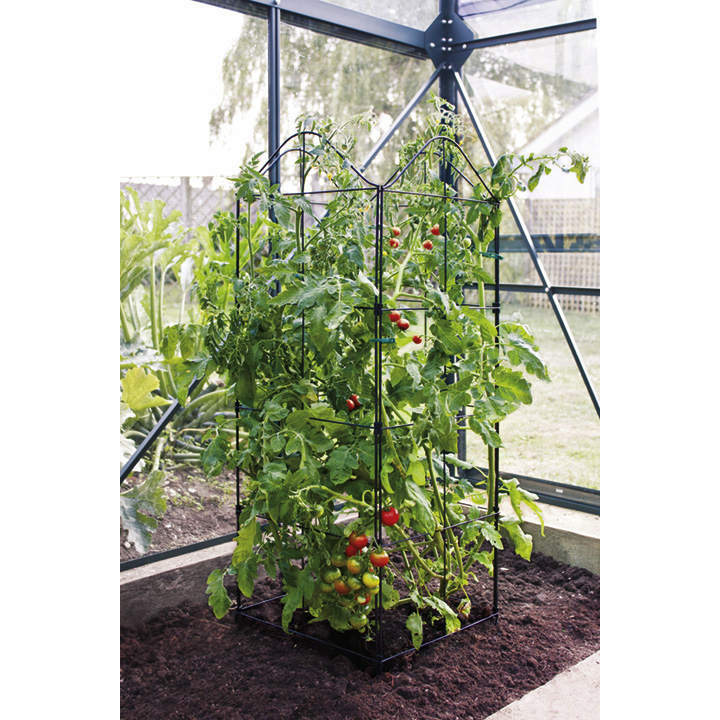 An elegant and amazingly versatile plant support frame, comprising four hinged steel panels, each 33cm (13") wide x 110cm (43") high, which can be used in a square formation to support tomatoes, or in a straight line as a dividing screen. 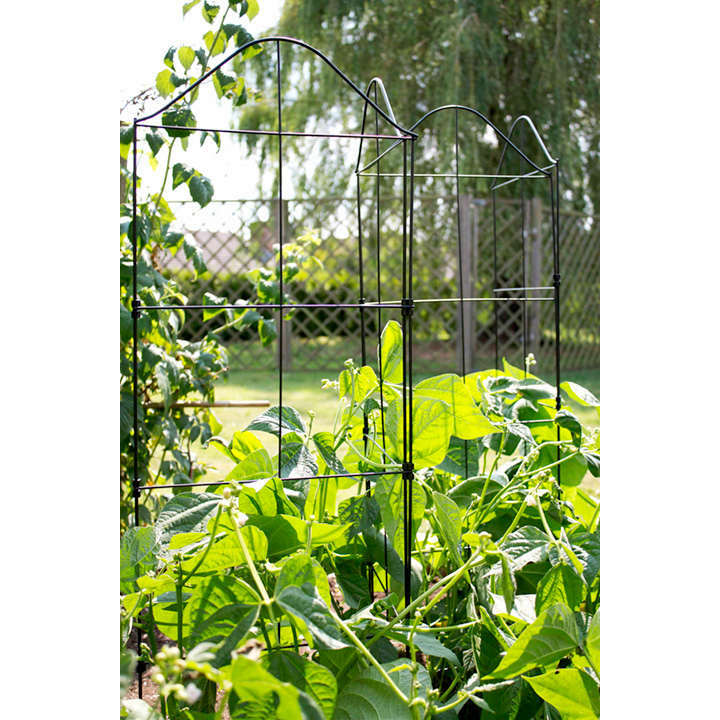 Ideal for supporting peas, beans or climbing flowers. 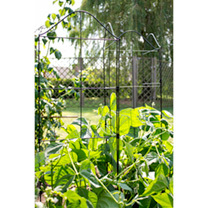 Several frames can be clipped together to create various different shaped plant supports.